Badgerland Veterinary Clinic is a full-service veterinary medical facility, located in Oshkosh, WI. The professional and courteous staff at Badgerland Veterinary Clinic seeks to provide the best possible medical care, surgical care and dental care for their highly-valued patients. We are committed to promoting responsible pet ownership, preventative health care and health-related educational opportunities for our clients. Badgerland Veterinary Clinic strives to offer excellence in veterinary care to Oshkosh and surrounding areas. Please take a moment to contact us today, to learn more about our veterinary practice and to find out more information about how Badgerland Veterinary Clinic can serve the needs of you and your cherished pet. A 1992 graduate of the University of Wisconsin-School of Veterinary Medicine. Dr. Wickman has spent the past 20 years in a variety of roles within the field of veterinary medicine treating a variety of species. Dr. Wickman loves pets and their people. His household is currently run by numerous dog and cats He can certainly relate to the intimacy of the human-animal bond and the joys of multi-pet households. Dr. Wickman can't wait to meet you and your furry family! Make your appointment today! I came to Badgerland Veterinary Clinic with Dr. Wickman in June 2012. We are really enjoying being here and serving the Oshkosh community. I am originally from Oshkosh and I love to see how the area has grown. 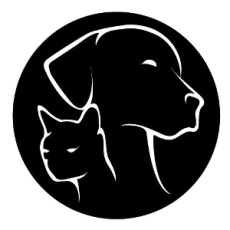 We are very interested in reaching out to the community to help with rescue groups/shelters and individuals doing their best to help animals in the area. As the office manager, I do the accounting, marketing and anything else around the clinic that I can help with. I have a Bachelor’s Degree in Accounting from UWO and have a varied background ranging from teaching English in South Korea to writing grants for a nonprofit and now finally working where I can apply my passion for animals. In my free time I love being outside with my three girls – Sophia, Josie and Hazel. We love taking our beautiful dogs: Princess, Grover, and Zoey, out for walks in the woods – it’s the only way they can run off all that energy. We also spend a lot of time with our crazy house of cats and our wonderful bunny, Thumper!